Early Modern Research Centre – first event of the term – everyone welcome! The first EMRC research seminar of the Spring term will take place this week, Wednesday February 10th, at 1pm (Whiteknights Campus, HUMSS G25). 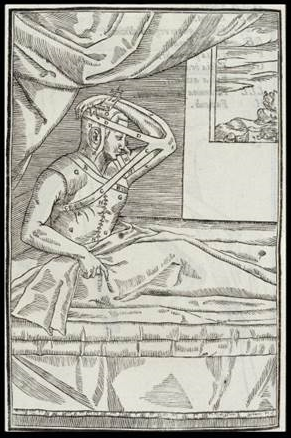 Alanna Skuse will be discussing her work on “‘The sympathetic snout’: Rhinoplasty and the unstable body in early modern culture”. Do join us if you can. Tea and coffee will be provided. The next seminar will be on Wednesday March 9th, when we welcome Dr Tim Stretton, St. Mary’s University Halifax, and Leverhulme Trust Visiting Professor, Cardiff University. This entry was posted in Department of English Literature news and events and tagged Alanna Skuse, Department of English, Department of English Literature, Early Modern Research Centre, EMRC, English Department, English Literature, Reading, University of Reading. Bookmark the permalink.